In honor of the 500th anniversary of Holland's most famous painter 'Hieronymus Bosch', Studio Kluif designed a series of two exclusive and limited plates. A crisp white plate with ornate decoration in Delft blue and a stylish blue plate with an elegant allover print in white. Both plates have a diameter of 31 cm and have a slightly raised rim . Wonderful as underplate at an upscale diner or to present your snacks, biscuits or cheese. Presenting on a 'Jheroplate' brings a topic of conversation for your guests which helps to break the ice immediately. In honor of the 500th anniversary of Hieronymus Bosch is a series of these plates 'Jheroplate' designed. 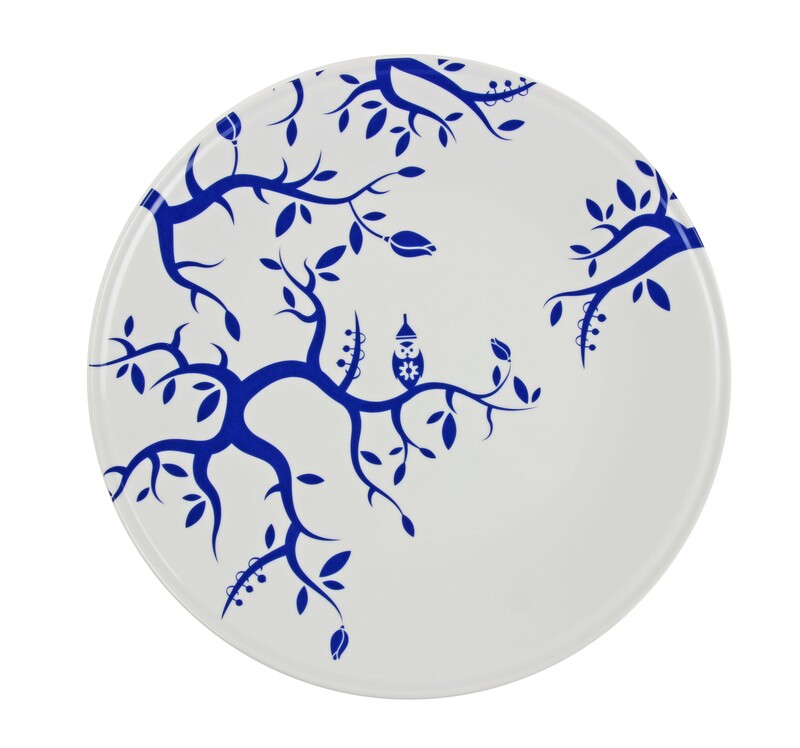 These plates are designed exclusively for the occasion and are available in a limited edition. 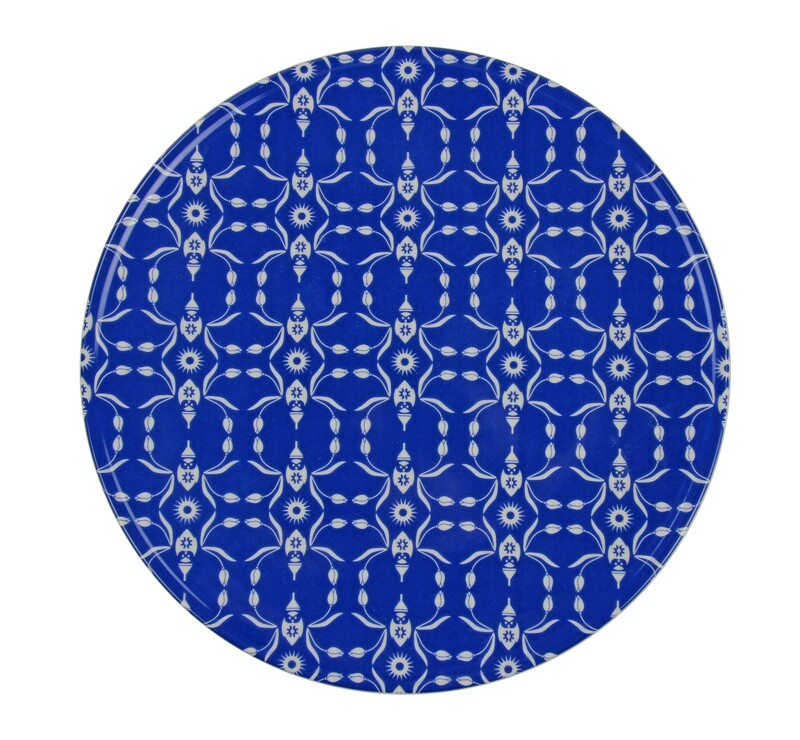 We carry two designs from the series 'Jheroplate'; a white Jheroplate with Delft blue pattern and a blue plate with a white design.